Whether you are thinking about buying or selling a home, interest rate trends are an important factor to consider. Mortgage interest rates have been rising and experts, including Windermere Chief Economist Matthew Gardner, predict that they will continue to increase in 2019. 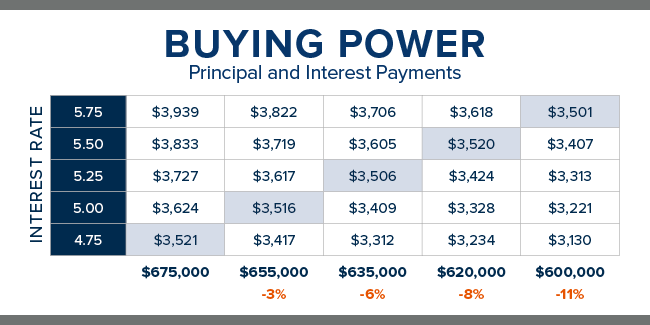 The chart below shows the impact rising interest rates would have if you planned to purchase a $675,000 home while keeping your principal and interest payments at $3,500 a month. 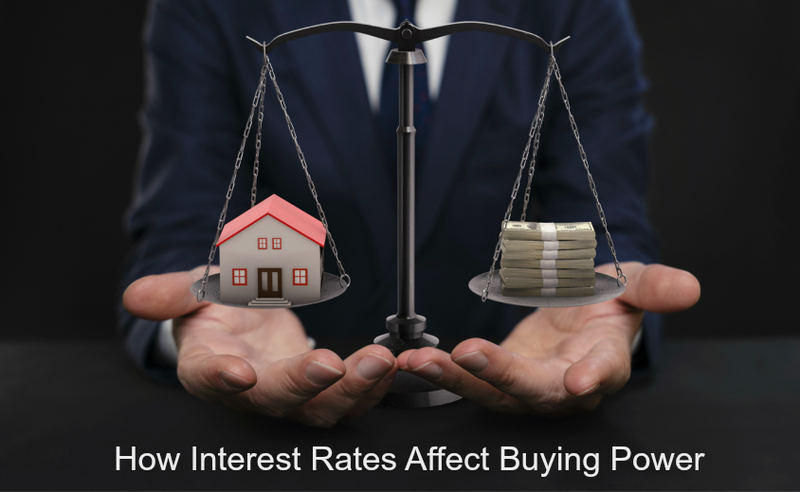 Everytime that interest rates increase by a quarter of a percent, your buying power decreases by about 3 percent. With prices moderating and interest rates slated to rise again, now is a good time to buy. If you’re betting on prices falling, you need to consider the strong possibility that an increase in interest rates would offset any potential price savings. Listing your home now means you will attract a larger buyer pool before interest rates rise. Whether you’re thinking of buying or selling I can provide you with the most current market data that will help you make the best decision for your circumstances. Jeanette Pop is a real estate professional serving both sellers and buyers in Western Washington’s King, Snohomish & Pierce counties. Based out of Windermere Real Estate/East in Issaquah, WA Jeanette has been delivering client focused, expert brokerage services to her clients for since 2010. From residential purchase & sales, new home sales, investment properties, and foreclosures she has the knowledge and experience to help you reach your real estate goals. 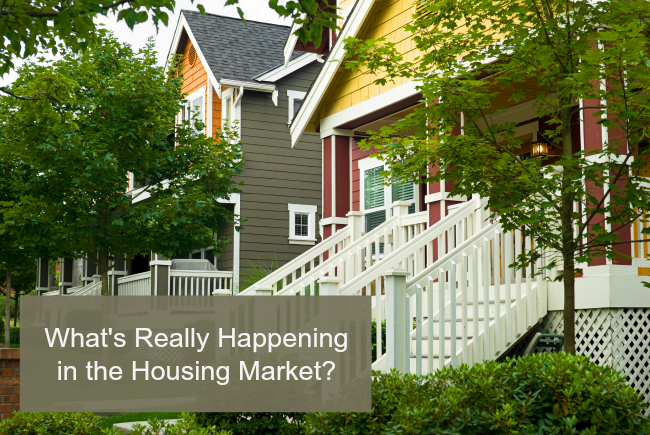 What’s really happening in the housing market? Our housing market is finally cooling a bit, from scorching hot to slightly-less-sweltering. While some alarmists are talking bubble or impending crisis the statistics tell a different story. The market does appear to be shifting, and that’s good news! The steep price increases of the past few years are not sustainable, and also risk pricing buyers out of the market altogether. Inventory is up, but still falls short of demand. Despite a considerable increase in inventory, King County has just six weeks of supply. Four to six months of inventory is what is considered a balanced market, and we’re far short of that. Homes are staying on the market a bit longer. New listings have increased in the past few months, but the increase in inventory is primarily due to homes staying on market longer. With buyers accustomed to homes being snapped up in days, “longer” is a relative term. Homes in King County are taking an average of 15 days to sell. Prices appear to be moderating. While home prices are up compared to a year ago, the rate of increase is in the single digits rather than the double-digit surges of past months. Prices are down 4 percent from the record high reached this spring. WHAT DOES THIS MEAN FOR THE HOUSING MARKET? The shift towards slower, consistent appreciation will result in a healthier market. Buyers have more choices and more time to make an informed decision. It is still a seller’s market, but sellers need to have realistic expectations about pricing their homes as the market softens. More inventory is needed to meet demand. Whether you’re thinking about buying or selling, it’s important to have the most current information about the market. I can provide you with statistics about the market today and answer any questions you may have. Jeanette Pop is a real estate professional serving both sellers and buyers in Western Washington’s King, Snohomish & Pierce counties. Based out of Windermere Real Estate/East in Issaquah, WA Jeanette has been delivering client focused, expert brokerage services to her clients for over 8 years. 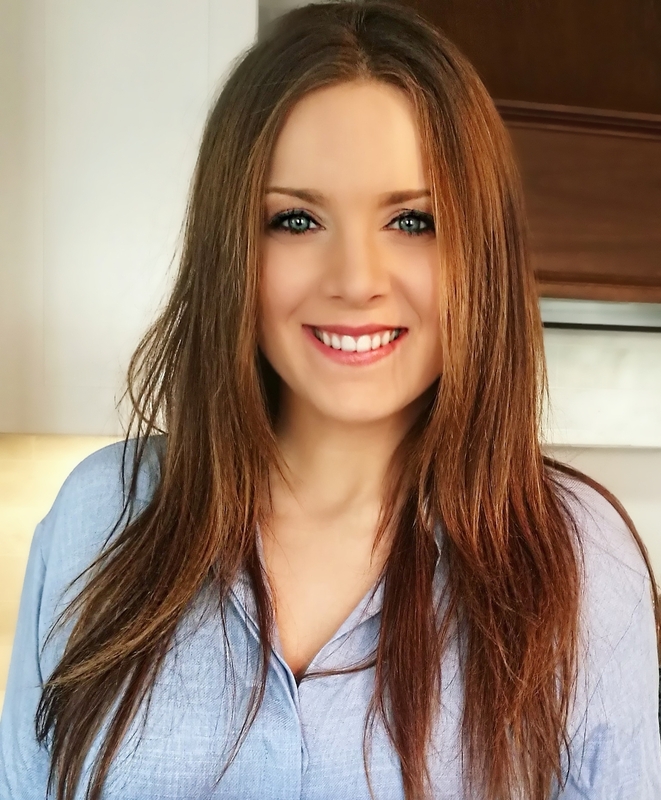 From residential purchase & sales, new home sales, investment properties, and foreclosures she has the knowledge and experience to help you reach your real estate goals.